Like any large purchase, buying a tiny house should be carefully thought out. While scrolling through pictures of immaculate tiny houses is a great part of the process, there is so much more to consider. This why you should make sure to have all your bases covered before making the jump. 1) How Long Does It Take To Build A Tiny House? 4) Are Tiny Houses Affordable? Because tiny houses are still so new to so many people, there is a lot of confusion about what you should know. Have no fear, we are here to help. Here are the most important things to know about tiny houses before the building process even begins! 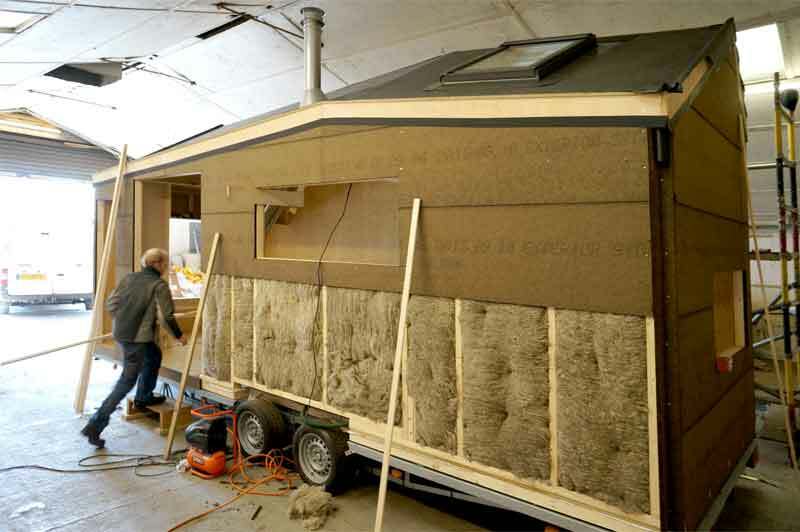 One of the first things to think about before building a tiny house is how long the process will take. Having a schedule in mind will help to influence almost every aspect of building a tiny house. 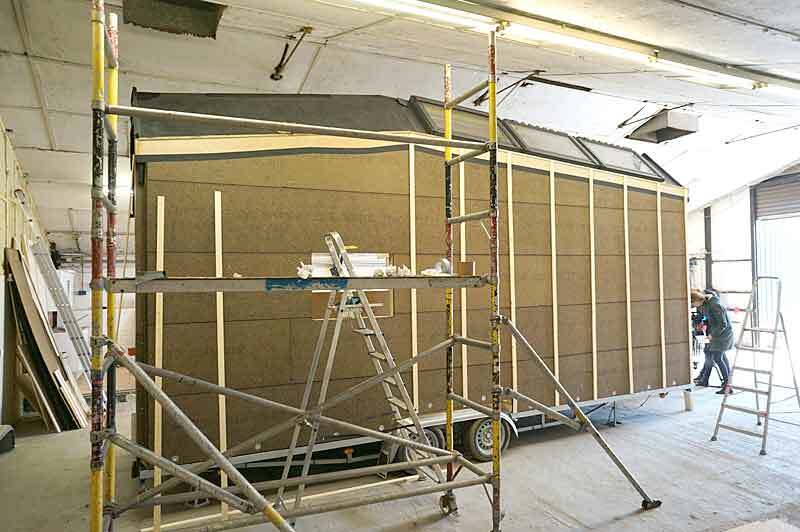 While the process of building a tiny house may be a long one, getting it right the first time is key. The length of the project will totally depend on how you are planning to build. With the help of a professional contractor, a tiny house can easily be built in 2 months. However, those who choose to go at it alone will find it takes much longer. On average, building a tiny house on your own will take anywhere from 3 to 4 months. Also, an important thing to remember is that this timeline is based on full-time work. This means that if you are only planning on building your home part-time, it can take upwards of a year to be completed. While using a professional builder will ensure that the work is done correctly and timely, it is totally a personal choice. One good thing to keep in mind is that if you want your house done quicker, using a professional is a way to go. This is because so many things are hanging in the balance when it comes to the timeline. If you are lucky enough to live in an area that has year-round sunshine, your home will be done quicker. However, living with the horror of all four seasons can put a damper on your deadline. Keep in mind that it isn’t always safe, or practical to build your home in the winter. So if you are planning on taking the slow but steady approach to build your home, do so during the warmer months. The number one thing that will dictate your building timeline will be your budget. Having the funds available to build your home can slow down a project greatly. Also, keep in mind that what you want to but may not be available during the season. This is why it is so important to plan ahead. If you are planning to do the building yourself, make sure you have the time to do so. This is especially important if you already have a demanding full-time job. Taking time off is not for everyone. If you need to rely on a regular paycheck in order to build your home, keep this in mind. This doesn’t mean that you can’t do both either. Scheduling your building time around your work schedule can help you to keep on track as well as on budget! You may already have the perfect spot to build your tiny house. You know the one with the best view and where the light hits just right. However, building your tiny home right where you want to is a totally different ballgame. This is because some states still don’t allow for the legal residence of tiny houses. But, don’t let this discourage you from living where you want to live. One of the best parts about living in a tiny house is that you can feel free to pick up and go whenever you want. This is the main reason why people prefer to build their tiny house on wheels or a trailer. But, there are much better reasons to consider building your tiny house on wheels. There is a loophole in certain state’s laws that will allow you to build your dream tiny house. This loophole means that you will list your home as an RV instead of a traditional home. This way you can properly build and purchase insurance for your tiny house. The one major thing you will want to do is familiarize yourself with the laws on your state before building. We wrote an article about why Tiny Houses are illegal in some states. It has all the tips and information you need about keeping your tiny house legal in your area. The one thing that cannot be denied about downsizing your life is that it is full of challenges. This is why it is so important to weigh your options before taking the jump. Especially when it comes to building your first tiny house. There is no going back once the foundation is set. If you worry about “buyers remorse”, don’t fear! There are plenty of ways to be sure that the downsized lifestyle is the best one for you. Once your mind is made up, you will no longer have the doubt of whether or not you have made the right choice. The good thing about making a big purchase, like a house, is that you don’t have to go in blind. Trying to envision yourself living in a tiny house can be difficult without having a reference point. Luckily for you, there are plenty of ways to try out living in a downsized space before making the commitment. From renting out a tiny house for the weekend to going on a tour of a tiny house community, there are ways to literally see yourself living smaller. This is not only a great way for you to test drive your new potential lifestyle but for your family to as well. One of the best ways to find out how this new lifestyle will work is to see how other people have managed to live. The tiny house community is much more than a collection of like-minded people, it is a movement. Like any movement, there is a vast network of people who are more than willing to share stories. Search around your community for meet-ups that involve downsizing and get yourself involved. Can’t find this community of people near you? One of the best resources you have is the internet. There are tons of message boards and online communities of people who have already gone through the process. Use this resource as a way to help you understand how the sacrifice is worth the outcome. One sure way to know that you are getting into something you can handle is to compare the gains and the loses. Pro and con lists catch a bad reputation for forcing people to overthink their choices. However, with such a big life change like building a tiny house, you want to be thorough. One thing to remember is that it isn’t only your lifestyle that will be affected. Your family also has to be along for the ride. So, make sure to hear out everyone’s concerns and take them to heart. The best part about owning a home is that you have a comfortable place for you and your family to call your own. But, this only works as long as everyone is on board. We have written an article with a list of helpful tips when it comes to getting your family interested in downsizing. One of the most important things to know about a tiny house before starting to build one is how much money it will cost you. Some people find that tiny houses are expensive for the limited amount of space you get. However, this is for a very good reason. You should our article about the reasons why tiny houses are often expensive. Tiny houses are not only great places to live, but they also allow you to travel and see the world. 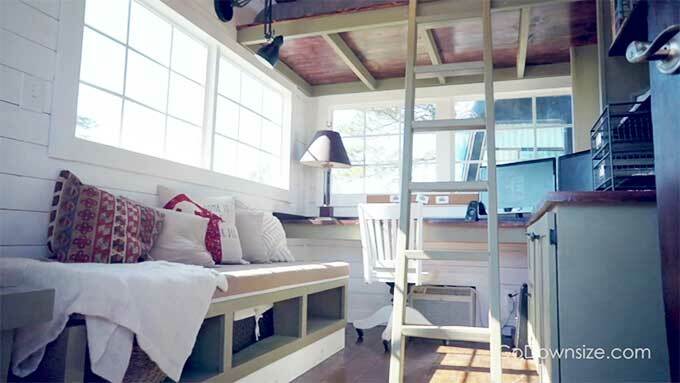 Tiny houses that are built with wheels can roam around the country freely. This means that any place you choose to park becomes your new yard. This type of freedom is priceless! While tiny houses may be small in size, there are huge when it comes to amenities. Living in a tiny house does not mean that you are living in the dark ages. Traditional homes have been built to adapt to new technology. So, why should we expect tiny houses to be built any differently? In fact, most tiny houses are right on the brink of genius technology. From being fitted with the best smart technology to appliances that were custom built to fit in small spaces, tiny houses have it all. So, instead of looking at a tiny house as a sacrifice, consider it an upgrade! Still concerned about the price tag? The one piece of advice that real estate agents will give you is to not live beyond your means. Whether you buy a traditional or tiny house, this logic still applies. Committing to something that you will not be able to afford is one sure way to find yourself in hot water. But, there are ways to still get what you want within your budget. The first thing to do is to know completely what you are able to pay. After that, double it. Building a home is full of unexpected surprises. With surprises comes extra costs that you may have not planned for. So while planning on a budget, keep in mind that there will surely be unforeseen costs on the horizon. Since building a tiny house can take upwards on a year, you have some time to plan and prepare. More importantly, you have time to save. One great way to prepare for a large purchase like building a tiny house is to start saving. Experts will tell you to save your estimated mortgage payment for a full year before building. This will put you and your finances in a great position! Also, since tiny houses are far less expensive than larger homes, saving will hopefully be much easier. However, don’t forget about those extra costs you will find along the way. The more you end up saving, the better off you will be. If you are at the beginning stages of planning to build a tiny house, you may be knocked over by the initial costs. How can people afford to pay such high fees out of pocket? The secret is, they don’t. Unless you have an unexpendable bank account, you will need help. Luckily for you, there are plenty of ways to find financial help to build your dream tiny house. Banks are more than willing to hand out loans for building a home, but you have to be a desirable candidate. This means that you have to make sure that your finances show that money going out doesn’t exceed money going in. So, before you hit up your bank for some extra cash, make sure that your finances look appealing to lenders. Many things to know before starting to build a tiny house are stressful. But, there is one area where you can find yourself getting lost in the fun of it all. This is when it comes to making the design decisions for your tiny house. When planning the aesthetic of your tiny house, one important thing to remember is that you are the boss. Building a home is such a personal experience that you want to make sure that you are getting exactly what you need. However, if you find that you are missing that creative bone, there are plenty of ways to get help. Building a tiny house doesn’t have to be all stress and business. So, take your time and really explore all of your options. No detail is too small to overlook. Think of the process of a way to put your fingerprint on every aspect of your tiny house. While the creative process is full of excitement, it still can be intimidating for some people. There is no reason why you can’t build yourself a tiny house like the ones you see in pictures. In fact, looking through a portfolio of amazing tiny houses is a great way to find some creative inspiration. This is a great tip for those who feel like they are lacking when it comes to creativity. You don’t have to be an artist to be able to get exactly what you want. From finding the best design scheme to the best appliances to fit in your small kitchen, an inspiration board is a way to go. Make notes of everything you see that you like and try to find as many picture references as you can. This way you don’t have to be able to explain to your builder the perfect shade of tile you are looking for. We would like to say that designing your tiny house will be all sunshine and cupcakes. But, the reality is that it is still a great deal of work. This is especially true when it comes to finding the best materials to build your tiny house. There are a lot of factors that go into the actual building of the home as well as what materials to choose from. One thing to keep in mind is that building a tiny house is quite different than building a traditional home. So, while you may have experience in planning to build a home, a tiny house is a different experience. One way to help keep you on track is to work with a professional contractor or designer. This way your floor plan will feature everything you and your family need to comfortably live in your tiny house. For more information about what materials to use in the building process, check out this tiny house building material checklist. One important thing to remember before building your tiny house is that you can’t always prepare for everything. However, the more you know before making the leap, the better off you will ultimately be. Just remember, you want to be sure that the downsized lifestyle is right for you. When people talk about downsizing, it is important to note that it is just more than just getting rid of some stuff. It really is about changing your entire lifestyle. From being more conscious of the impacts on the environment to doing your best to save every drop of gas, downsizing isn’t for everyone. But, chances are you already know that it will be a change if you are even considering it. While this transition will be a change, but what a great one it will be.